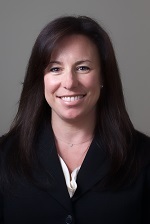 Jaimie Fried Dockray joined Rich, Intelisano & Katz, LLP as Special Counsel in 2013. She represents both individuals and employers in employment-related matters. Ms. Dockray has extensive experience representing both individuals and employers in all aspects of workplace disputes, including contract negotiations and litigation. Her clients have included high net worth individuals as well as financial institutions and nonprofit organizations. Prior to joining Rich, Intelisano & Katz, LLP, Ms. Dockray worked at Bingham McCutchen, LLP for approximately 15 years. While at Bingham, Ms. Dockray practiced law in their management-side labor and employment group, representing public and private companies and nonprofit institutions in matters concerning all aspects of labor and employment law, including trying cases in federal and state courts, in arbitrations, and before administrative agencies. Ms. Dockray counsels clients on a variety of human resource matters, including employee separations, drafting and enforcing non-competition, non-solicitation and confidentiality agreements, employment agreements, executive contracts, developing and administering human resource policies, manuals and handbooks, ensuring compliance with statutory and regulatory requirements in all areas impacting the workplace (such as wage and hour rules and disability accommodations), preventing and investigating harassment and discrimination complaints, planning and managing reductions in force. Ms. Dockray has lectured and trained employers on all aspects of employment law and has also been featured in a number of public speaking engagements. In 2005, Ms. Dockray assumed responsibility for overseeing Bingham’s pro bono practice, which practice included a variety of areas: adoption, bankruptcy, civil rights, corporate, criminal defense, debt collection, educational advocacy, environmental, estate planning, family law, healthcare, housing, immigration, intellectual property, nonprofit work, political asylum, prisoners’ rights, reproductive rights, veterans’ rights and unemployment compensation, to name a few. Ms. Dockray has been recognized by the New York Law Journal as a "Lawyer Who Leads by Example" (Sept. 2011) and by the American Lawyer in “Class Act,” Pro Bono Spotlight article (July 2006). Ms. Dockray’s legal career began at Vladeck, Waldman, Elias and Engelhard, P.C., a Manhattan-based plaintiff’s side employment firm, where she represented individuals in all aspects of labor and employment claims. She is a 1995 graduate of New England School of Law in Boston where she received the Arthur Winfield MacLean Founder's Award for dedicated service to the law school and the legal profession, and the American Jurisprudence Award for Constitutional Law. She received her BA from the University of Wisconsin, Madison in 1992. Ms. Dockray is admitted to practice law in New York, Connecticut and Massachusetts, and is a member of the board of directors for Near & Far Aid, a nonprofit organization dedicated to eliminating poverty in Fairfield County.